Lake Geneva is the Swiss Riviera and part of French Switzerland. It feels very different from other parts of Switzerland, what with everyone speaking French, and Lausanne feels very metropolitan and fashionable. It’s almost like visiting more than one country, yet you’re still in Switzerland with all of its benefits, like the delicious food and the ridiculously efficient transportation system. Lausanne has many things to do, making it a great place to both visit and use as a jumping off point for Lake Geneva day trips to places like Gruyeres, Chateaux de Chillon, Chaplin’s World, and a walk through wine country. Lausanne is also known as the Olympic Capital as it has been the home of the International Olympic Committee since 1915. This happened during the First World War, and the reason was Switzerland’s neutrality. The Olympic Museum is all things Olympics. Outside there are Olympics inspired statues, a track, and a high jump. Inside are displays of Olympics memorabilia through the decades, including the very first Olympic flag and previous Olympic torches and medals. You’re sure to find something of your favorite Olympic sport or Olympic athlete in the museum. 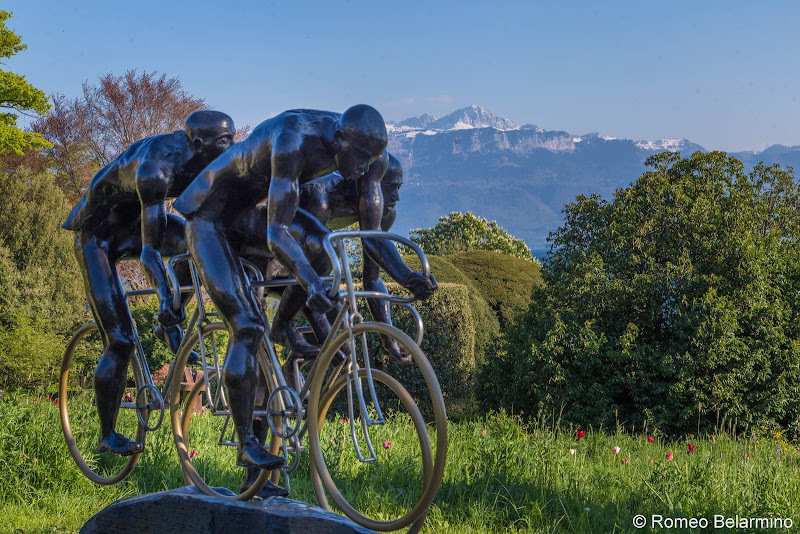 Admission to the Olympic Museum and Park is included with the Swiss Travel Pass. The Ouchy section of Lausanne is on the shore of Lake Geneva and has a nice walkway along the lake. Vendors set up shop along the walkway. Lausanne Cathedral is the largest church in all of Switzerland. 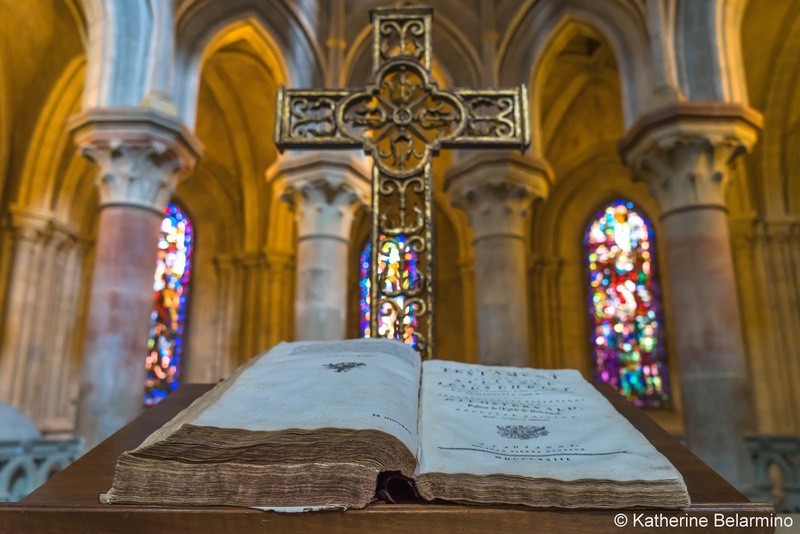 While the church used to be ornate, when it was turned into a Protestant church all of its icons were removed and its stained-glass was broken and replaced by plain glass. There are some colorful windows now that were added in the 20th century. The city center of Lausanne features a number of old buildings and plazas. 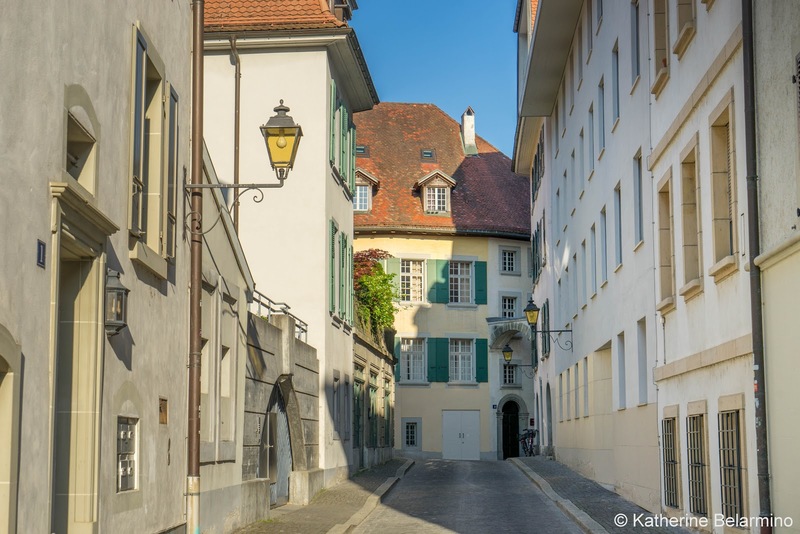 A self-guided walking tour can include the Place St. Francois with its church, Pont Bessieres, Lausanne Castle, which isn’t open to the public but has a terrace with a view, the Esplanade de la Cathedrale, the Place de la Palud, and Place de la Rippone. 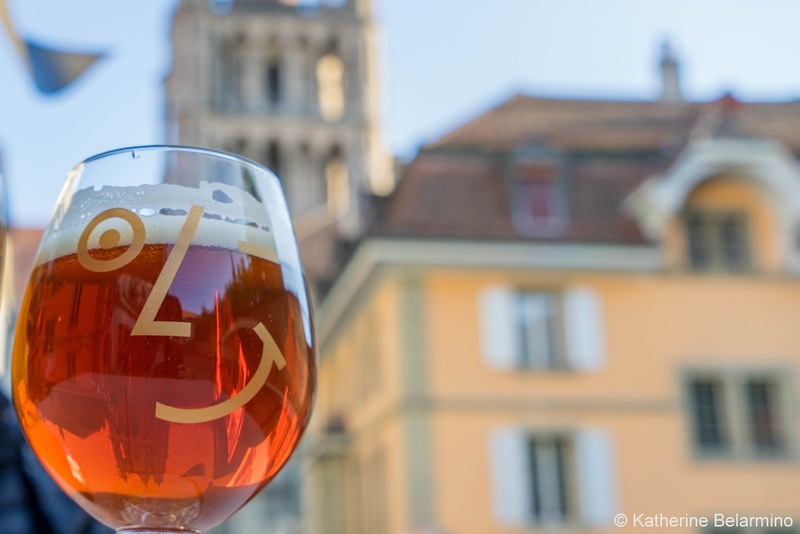 The perfect way to cap off a walking tour of Lausanne is with a beer at De L’Autre Cote located a block behind Lausanne Cathedral. If you time it right, you can be sitting back, sipping a beer, and listening to the church bells chime. 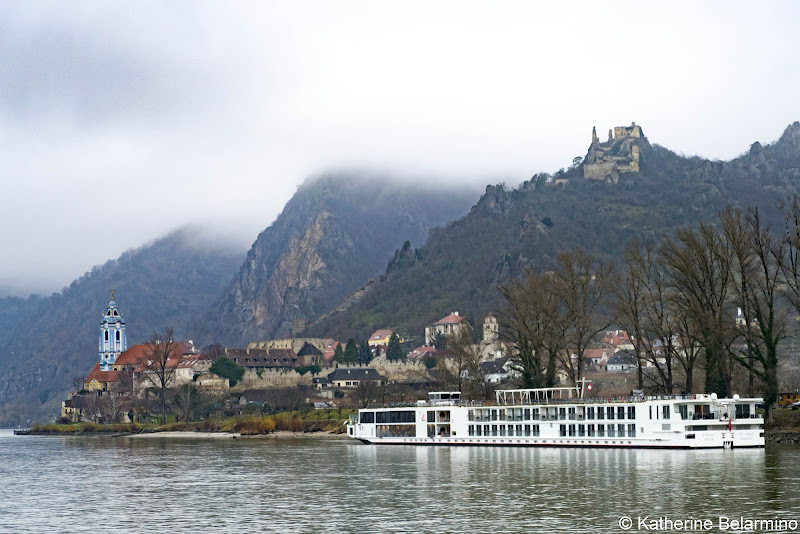 During our travels through Switzerland, whenever there was a chance to take a day trip involving a train or a boat ride, we jumped on the chance. 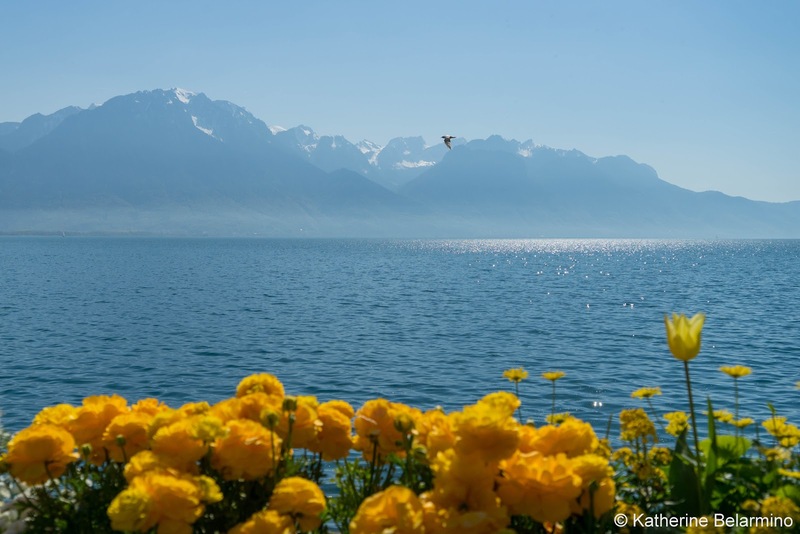 There are a number of things to do in Lake Geneva that are a short day trip (or less) from Lausanne. 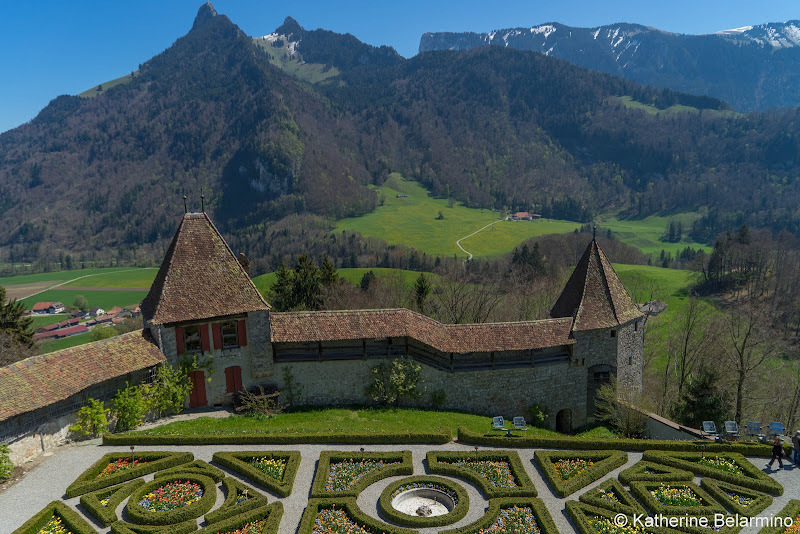 The train trip from Lausanne to Gruyeres is just over an hour, and Gruyeres offers a good half-day worth of activities. First and foremost is La Maison du Gruyere. 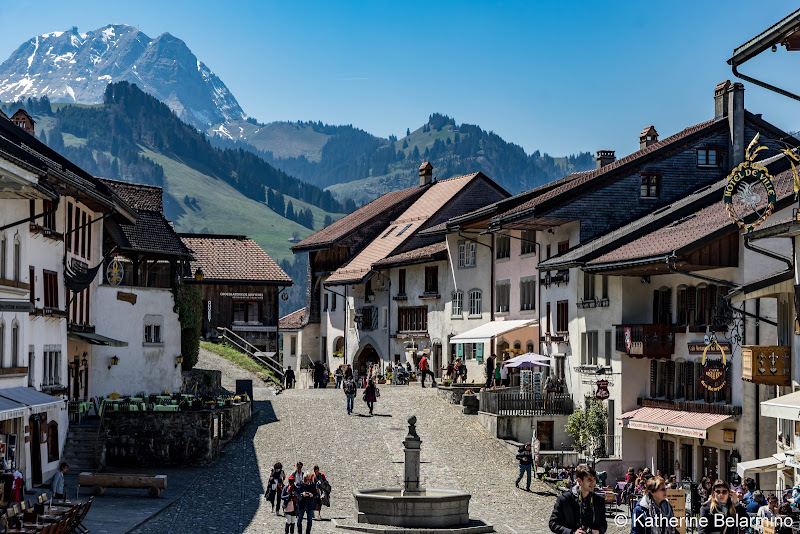 As you probably already guessed, Gruyeres is the home of gruyere cheese. 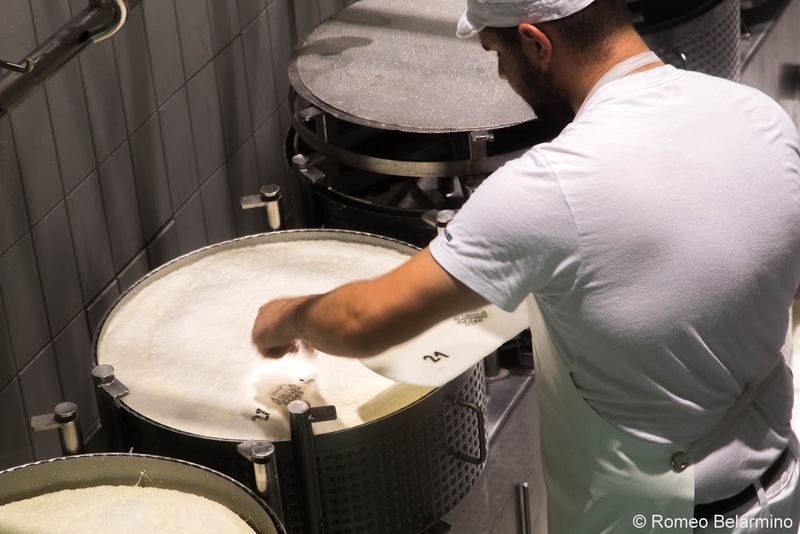 At La Maison du Gruyere, visitors can observe multiple steps of the cheese-making process, including the addition of the rennet, cutting the curd, checking consistency, filling the moulds, and removing the cheese. The best time to visit in order to see the most of these processes is around 9:00 a.m., but we also found 2:00 p.m. to be a good time. An admission ticket includes a packet of cheeses aged six, eight, and 10 months to taste while visiting the museum. At the top of town is the Chateau de Gruyeres, Gruyeres’ castle. 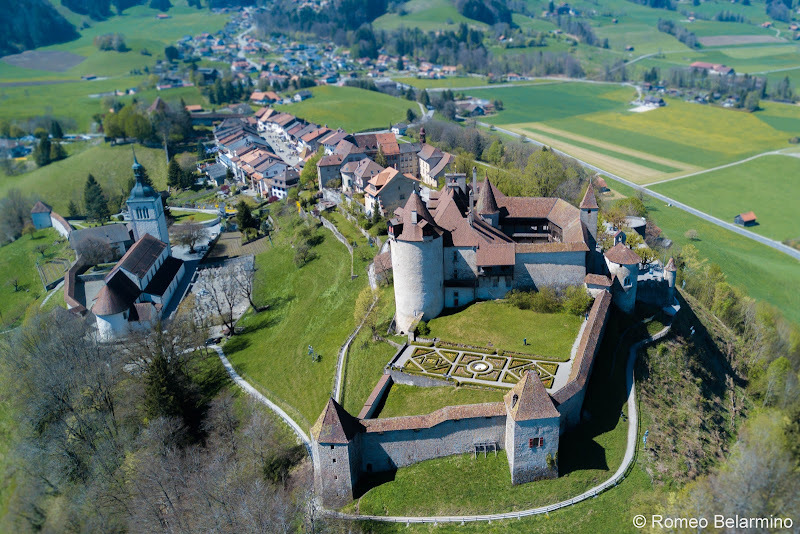 Rick Steves doesn’t recommend touring the castle and calls it a “ho-hum interior,” but we actually enjoyed our visit to the Chateau de Gruyeres, thought the rooms were beautifully appointed, and entrance is included with the Swiss Travel Pass. In addition to castle rooms to explore, there is a trail circumnavigating the castle walls and a pretty garden and maze within the walls. 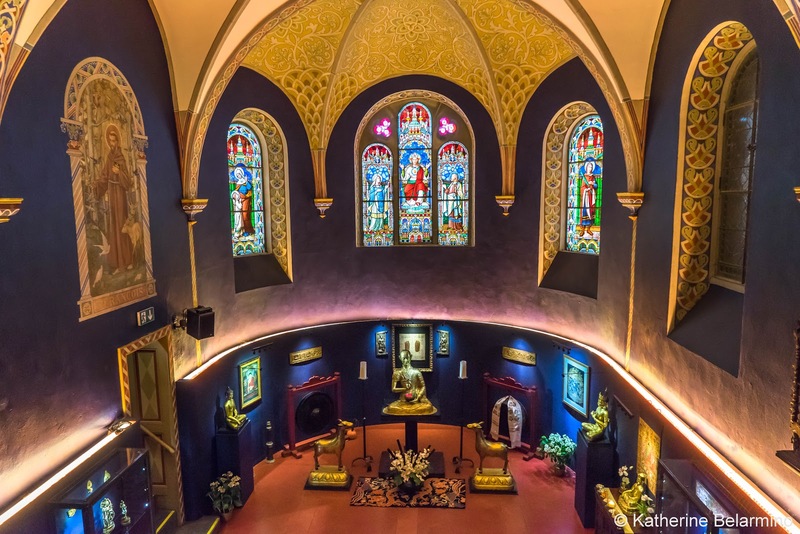 A small but interesting museum within the town of Gruyeres is the Tibet Museum. Tibetan treasures are beautifully displayed in an old church, which is quite a juxtaposition of eastern and western religion. Admission is included with the Swiss Travel Pass. 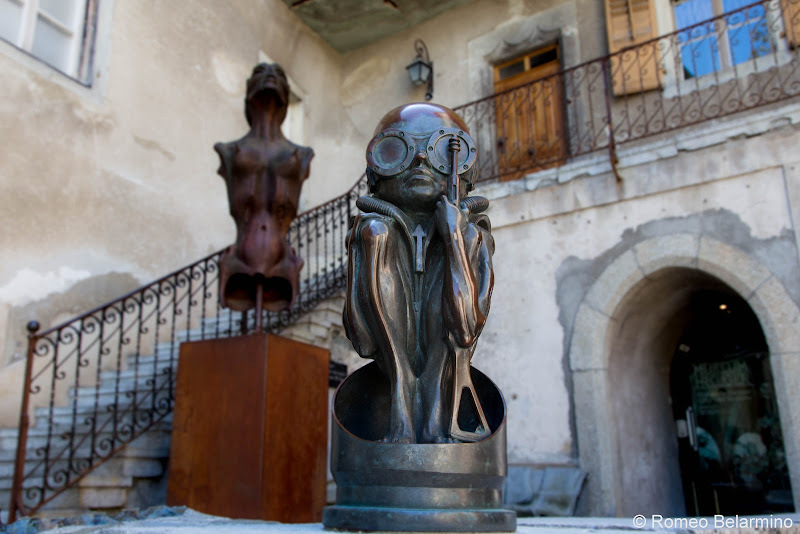 If you’re a fan of the artist HR Giger, or of his movie Alien, you’ll definitely want to visit the Museum HR Giger. It is odd and fascinating and disturbing. It’s not really my cup of tea, but was interesting. For even more HR Giger, the HR Giger Bar is across the street and features skeletal ceilings and bar stools. One of the coolest places we visited in Switzerland was Chaplin’s World. 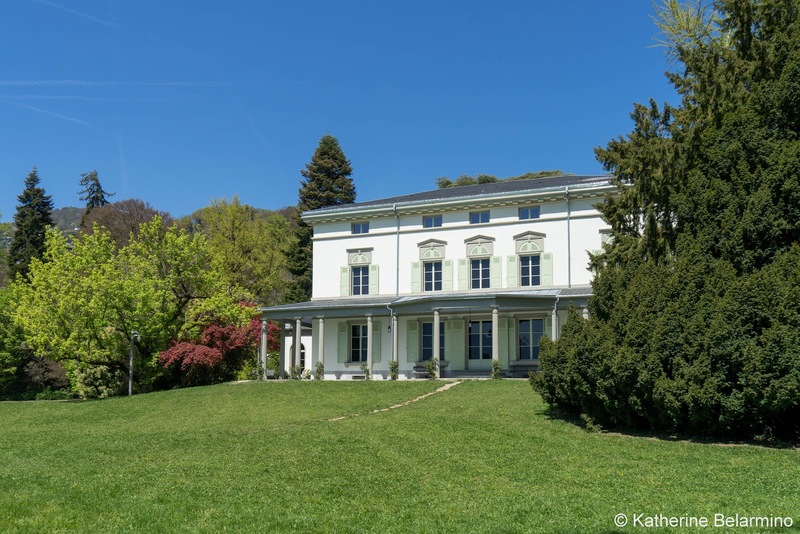 Charlie Chaplin, a silent film era icon, spent the last 24 years of his life in Switzerland in his home in Corsier-sur-Vevey with his wife Oona and their eight children. Visitors can walk through the rooms of his home, where he spent some of the happiest years of his life, and stroll through the gardens. In the same building as the shop is a movie theater which shows a short movie about Charlie Chaplin. But this is far more than a movie and should not be missed. 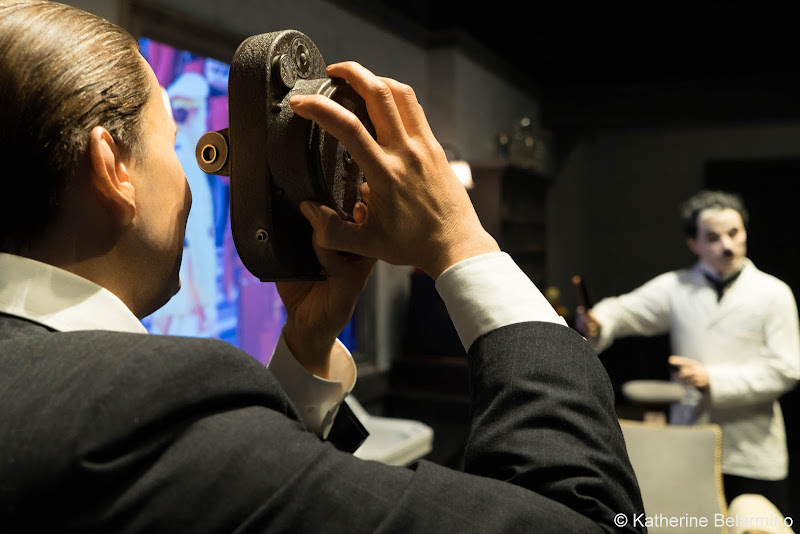 After the movie, the screen rises, opening the way to a world of Chaplin in the form of a studio filled with interactive sets from many of his films. We probably spent more time in this area of Chaplin’s World than his house. Did you know Charlie Chaplin acted in, wrote, directed, edited, composed the music for, produced, and distributed his own films? 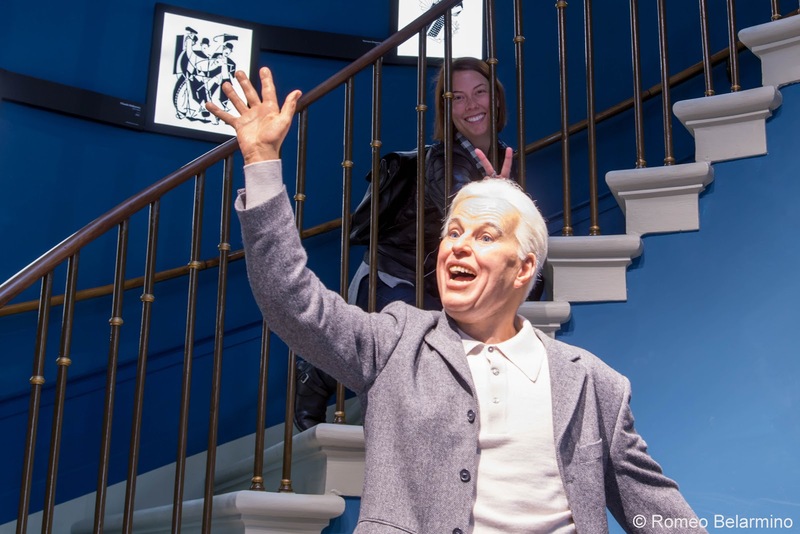 I am a Charlie Chaplin fan, but even those not familiar with his work will enjoy a visit to Chaplin’s World. Romeo has never seen a Chaplin film (something I really need to fix), and our visit to Chaplin’s World was one of his favorite things we did in Switzerland. After spending much of the day in Gruyeres, we still had some free time, so from Lausanne we traveled to the Chateaux de Chillon aboard the Vevey, a historic paddle steamer built in 1907. Chillon Castle was first built in the 12th century, but has had add-on construction and alterations through the centuries. 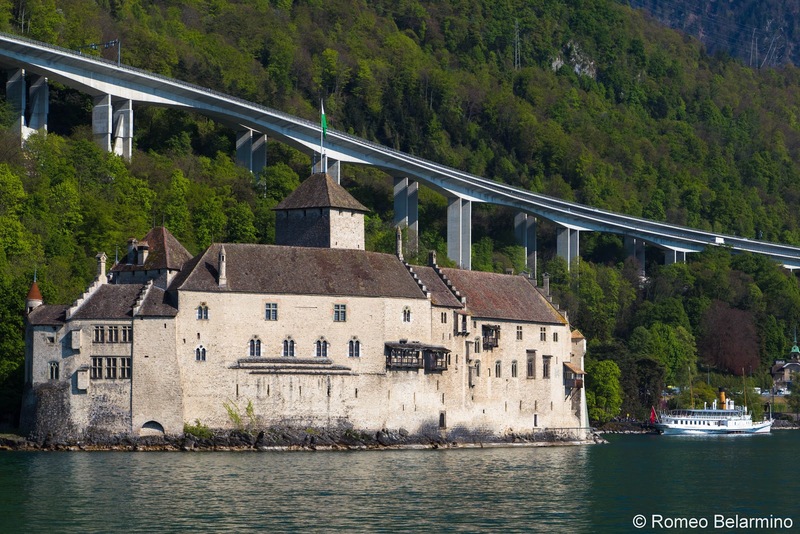 Both entrance to the castle and travel on Lake Geneva’s paddle steamers are included with the Swiss Travel Pass. 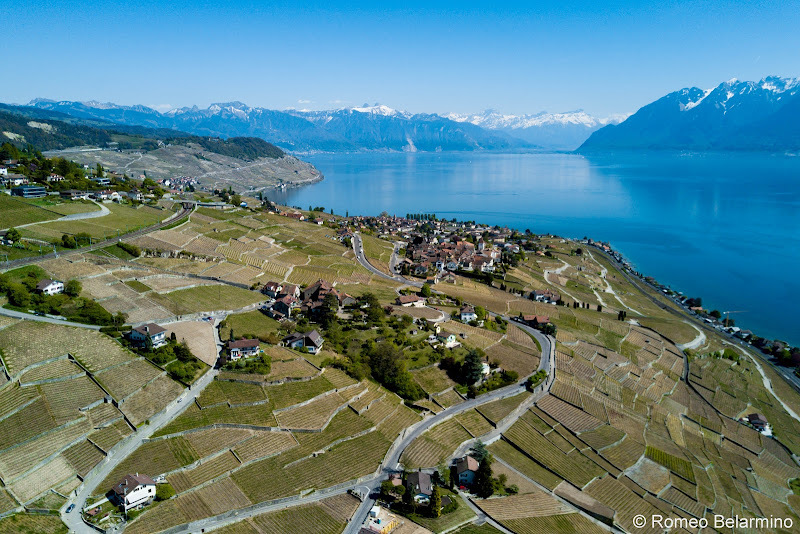 When we first arrived in Lausanne by train, we were struck by the beauty of the terraced vineyards overlooking Lake Geneva, even if it was early spring and the vines were just starting to show green. We ended up having some extra free time, so we added a walk through Lake Geneva’s terraced vineyards to our itinerary. Luckily, this was easy to do with the City Guide Lausanne App. 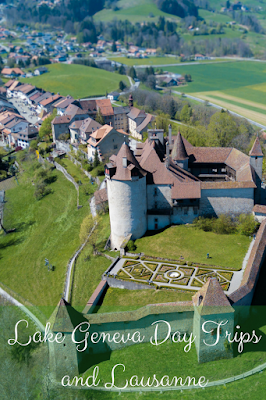 The app provides suggested tours, and we chose to add the Lavaux (Lutry) tour. From Lausanne, we took the trail to the Grandvaux station. The app provides turn-by-turn details for the two-hour, mostly flat and downhill walk, with a GPS enabled map so you can’t get lost. The app provides information about points of interest along the way, such as ancient stone walls, monorails used for the grape harvest, and winemakers’ houses. The walk ends at Lutry station. 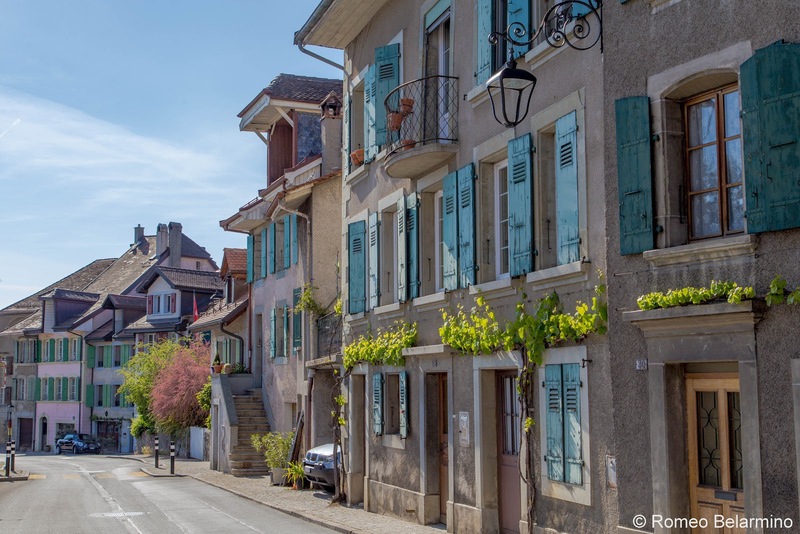 There are two main areas to stay in Lausanne, the old town and the Ouchy district on the lake. 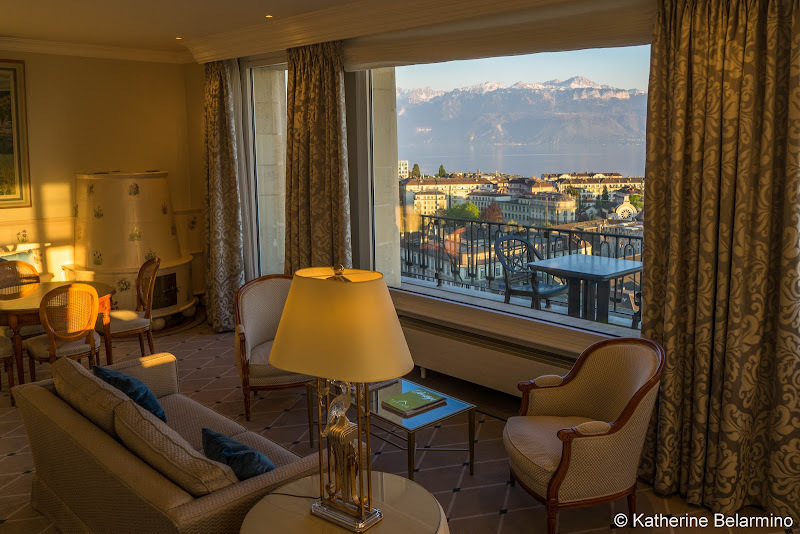 We chose the old town and stayed at the gorgeous Hotel de la Paix Lausanne, a historic hotel which opened in 1910. Even in the old town, at Hotel de la Paix Lausanne it is possible to have a clear view of Lake Geneva. 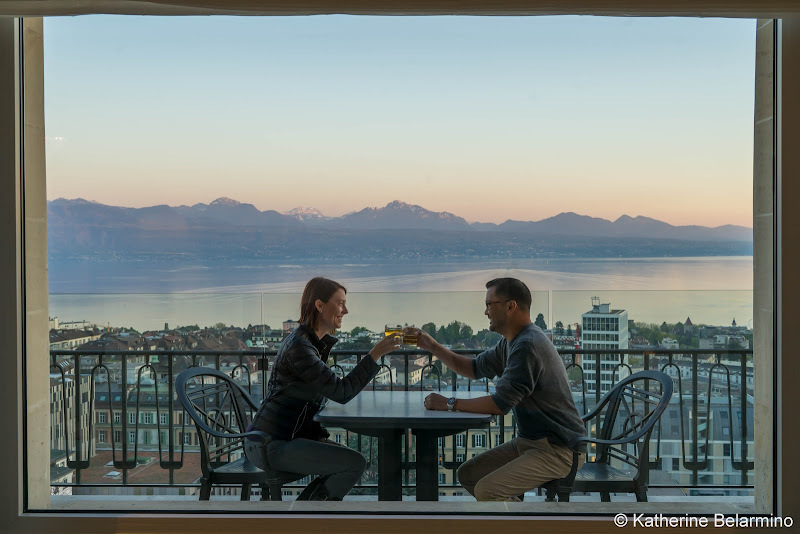 Hotel de la Paix Lausanne has both standard rooms and suites. 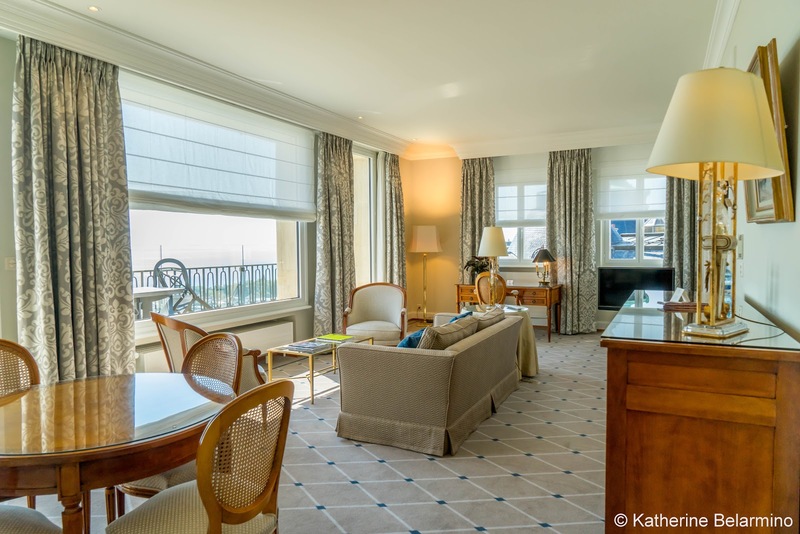 We got to enjoy the extra extravagance of one of the gorgeous suites with a living room area and dining table, a king bed, a ceramic room heater, and a balcony that stretched the length of the suite with a breathtaking view of Lake Geneva. Knowing that not everyone wants to shell out for such an extravagant room (though $400 a night is awfully reasonable for such a room), we sneaked a peek into the regular rooms and found that, while not as large, they were also very nice and some also have balconies with beautiful views. The hotel provides quite a breakfast spread for guests every morning in the restaurant. The La Paix Restaurant also serves dinner every evening. 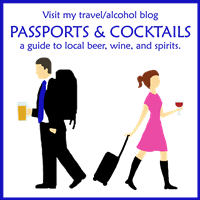 The Bar de la Paix has a sunny terrace, and Le Benjamin Bistro & Bar provides light fare. Hotel de la Paix Lausanne is a short walk from the Bessieres metro station, which also connects with the train station. The hotel provides guests with a card providing free access to public transportation within the city. If arriving by metro, head up the elevator, and then walk down the hill of Rue Caroline. If flying out from Geneva, the train from Lausanne goes directly to the airport and takes less than an hour. It’s not every day you get the chance to dine at a two Michelin star restaurant headed by a three star Michelin chef. 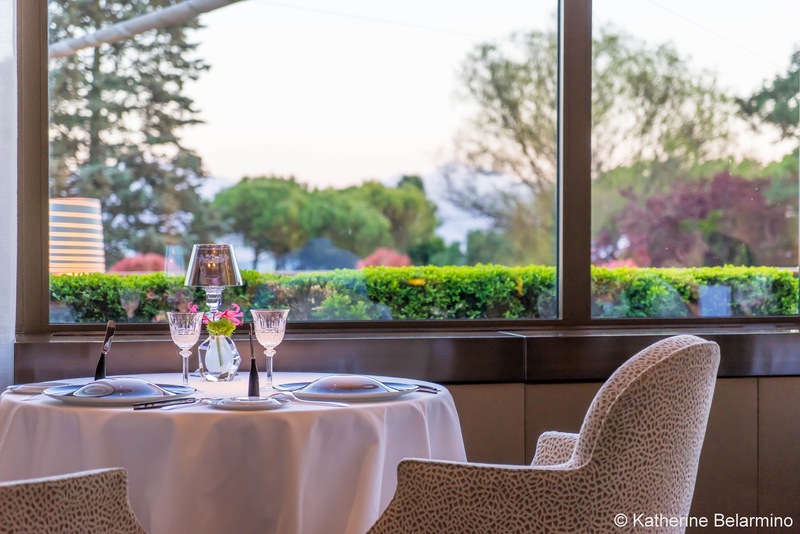 Anne-Sophie Pic in Lausanne’s Beau-Rivage Palace is such a restaurant. The menu offers prix fix options as well as ala carte items. A warning, the menus for men have prices while the menus for women do not. 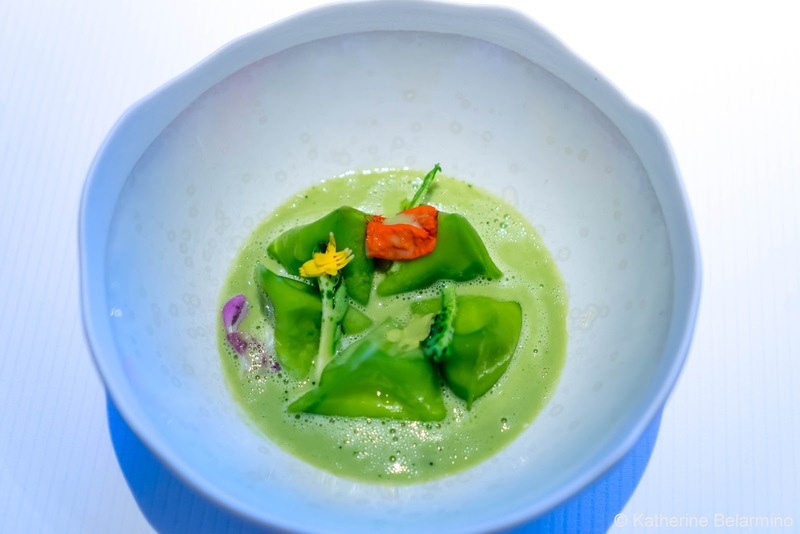 We opted for the prix fixe menu which included what can best be described as a fondue soup dumpling in a smoked green asparagus broth; surprising and delicious. 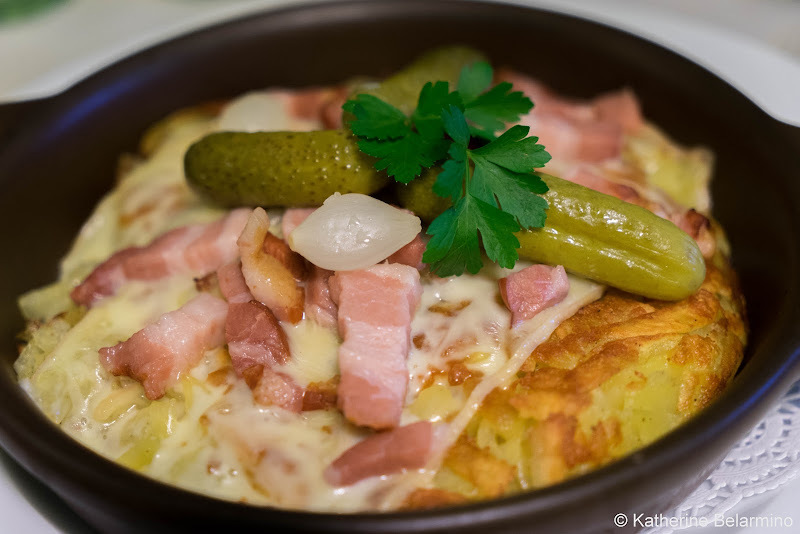 This dish, the berlingot, is one of Anne-Sophie Pic’s signature dishes. The meal was finished off with a selection of fresh and aged cheeses, chosen from a cart loaded with smelly, melty, moldy, fantabulous cheeses. 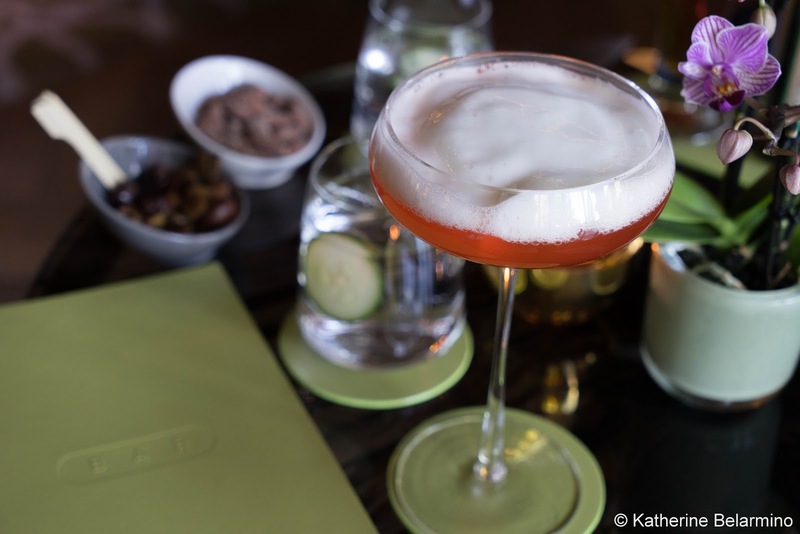 It’s worth arriving early to have a pre-dinner cocktail at Beau-Rivage Palace’s bar, simply named Bar. The cocktails are quite inventive and the atmosphere is retro-chic. Pinte Besson is the oldest pub in Lausanne, having opened in 1780. It comes complete with a squeaking, sticking door, a groaning dumbwaiter, and tiny stairs some use their hands to crawl up. Because the building is so old and made of wood, fondue is not served upstairs. However, rosti, raclette, and meringue with gruyere cream are. Café Romand is a no-nonsense brewery and pub that opened in 1951 and serves Swiss classics in oak furniture and woodwork surroundings. Thank you to Hotel de la Paix Lausanne and Switzerland Tourism for hosting our trip and making this post possible. As always, all opinions are our own. This article contains affiliate links. 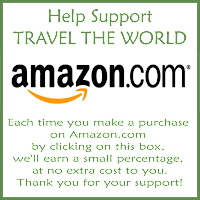 If you purchase through them it costs you nothing extra and we earn a small commission which goes towards this website and bringing you more travel stories.